The Wisconsin Supreme Court has ruled that the state Department of Justice (“DOJ”) did not violate the Wisconsin whistleblower statute when it demoted a top Internet detective, Joell Schigur, following concerns raised by the detective regarding the use of state agents to protect the attorney general at a political convention. In so holding, the court stated that the protections afforded by the state’s whistleblower law did not apply to Ms. Schigur because she only voiced her “opinion” rather than disclosing concrete information about improper activity. Ms. Schigur assisted in the development of the DOJ’s Internet Crimes Against unit, which built her a national reputation as an expert on cyber predators. In 2006, she was promoted to director of the state’s Public Integrity Bureau. In April 2008, Ms. Schigur told her superiors about a proposed plan to send state agents to serve as around-the-clock protection for then-attorney general J.B. Van Hollen at the Republican National Convention in St. Paul, Minnesota. Subsequently, Ms. Schigur sent an email communication to her superiors warning them that she believed using state resources at a political convention might be a violation of state law and the regulations governing the state’s Office of Employment Relations. In response, Mike Myszewski, then-administrator of the DOJ’s Division of Criminal Investigation, told Ms. Schigur that he did not think the assignment amounted to political activity. Then, a month later, the DOJ demoted Ms. Schigur to special agent-in-charge. Ultimately, the DOJ decided not to send any agents with Mr. Van Hollen after purportedly concluding that he wouldn’t be in any danger at the convention. In 2011, an ALJ ruled that the DOJ had violated the Wisconsin whistleblower statute when it demoted Ms. Schigur. However, a Wisconsin county circuit court overturned that decision. The Wisconsin Court of Appeals affirmed the county circuit court’s decision. 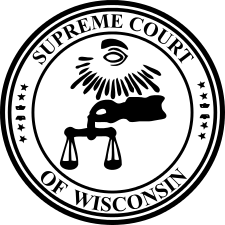 As a result of that decision, the Wisconsin Department of Workforce Development and Ms. Schigur appealed their case to the Wisconsin Supreme Court. Simply stated, we examine whether Schigur’s opinion alone, as to the lawfulness or appropriateness of government activity is “information” such that it is entitled to protection under §§ 230.80-.89, whether other portions of Schigur’s e-mails relating to the proposed security detail constitute “disclosure[s]” of information under Wis. Stat. § 230.81, and whether Schigur’s disclosure is protected because the DOJ believed that Schigur had “disclosed information” under the statute. On appeal, Ms. Schigur made two specific arguments. First, Ms. Schigur argued that disclosure of a “belief”, namely her opinion regarding the lawfulness or appropriateness of government activity, is disclosure of “information” under the Wisconsin whistleblower statute, and that the DOJ therefore could not discipline her for sending emails that disclosed her beliefs. Second, Ms. Schigur argued that the DOJ believed she engaged in protected activity, and that she was entitled to protection from discipline on that basis as well. In response, the DOJ argued that expressing a belief about unknown information is not “disclosing information” under the Wisconsin whistleblower statute, and Ms. Schigur forfeited her second argument by failing to raise it in the lower administrative proceeding. 1) an opinion alone, as to the lawfulness or appropriateness of government activity is not “information” as that term is defined in Wis. Stat. § 230.80(5); (2) under the specific facts of this case, and assuming without deciding that Schigur’s e-mail contained “information” regarding the proposed security detail, the communication of the information to Myszewski, Jed Sperry, and Cindy O’Donnell was not a “disclosure” under Wis. Stat. § 230.81 because the information was already known to the recipients of the e-mails; and (3) Schigur’s argument that the DOJ believed that she “disclosed information” rests on a misinterpretation of § 230.80(8)(c) and therefore fails. Accordingly, we affirm the decision of the court of appeals. The major takeaways from the Schigur case are that an “opinion” alone, without more, does not fall within the Wisconsin whistleblower statute’s definition of “information.” As a corollary, even if Ms. Schigur’s email communications had counted as information under the statute, the fact that the substance of Ms. Schigur’s emails were already known to her supervisors meant that the communications were not considered disclosures under the statute. Or in other words, if the substance of the information is already known to whom it is communicated, then it cannot count as a disclosure under the Wisconsin whistleblower statute. Finally, the Supreme Court found that Ms. Schigur’s claim that the DOJ believed that she “disclosed information” rested on a misinterpretation of the statute, and therefore availed her of nothing. As a result, the DOJ did not violate the Wisconsin whistleblower statute by demoting Ms. Schigur to special agent-in-charge.